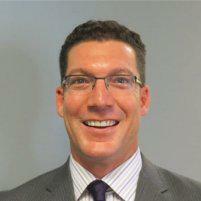 Dr. Brad A. Cucchetti always appreciates feedback from his valued patients. To date, we’re thrilled to have collected 23 reviews with an average rating of 4.96 out of 5 stars. Please read what others are saying about Dr. Brad Cucchetti below, and as always, we would love to collect your feedback. My first visit with Dr. Cucchetti was in May of 2014. His diagnosis of my knee injury was accurate and very well explained, in a manner easily understood. Since that first visit he has been able to keep my aging knee working, initially with injections and then with an arthroscopic procedure in December 2015. He also assisted our son AJ, who sustained a broken fibula during an NCAA D1 Basketball game early in the season of his junior year at Southern Utah University. The team doctor had handled the situation poorly which could have cost AJ a year of eligibility, not to mention potential problems related to the physical injury. We flew AJ home to see Dr. Cucchetti, and from that point we knew AJ was in great hands. Our son healed properly under Dr. Cucchetti's care, and because of Dr. Cucchetti's intervention with the school athletic department, AJ was granted a medical Red Shirt allowing him to play an additional year. AJ would not have been able play for South Dakota State University and help the team win their Conference Championship, nor would he have reached the NCAA Basketball Tournament with SDSU in 2017, after graduation from SUU and a 5th year transfer, if not for the expert medical and personal intervention of Dr. Brad Cucchetti. Thanks doc, you are the man! John, Barbara & AJ P.S. And thanks to you Danica, for all you do. 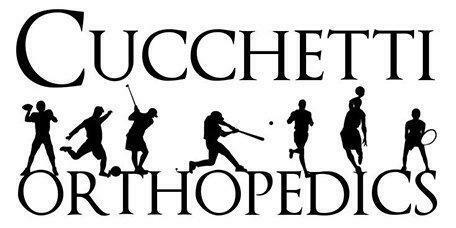 Dr. Cucchetti operated on my ankle 4 years ago and did an amazing job. Before this I had so many issues and now I am pain free for the most part. When my daughter hurt her foot I took her straight to Dr. Cucchetti. There is nobody else I would trust. He truly cares about his patients and he has a great staff as well. Dr. Cucchetti is excellent! Highly recommend him and his staff! Thank you!